With the inauguration of Muhammadu Buhari as Nigeria’s new President, the stage has been set for the change long promised. 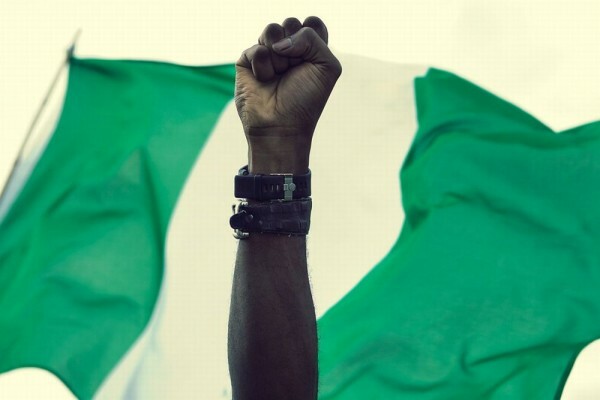 Nigerians from all lines, unified by passion and purpose, tapered off the influences of ethnic, religious, and other self-aligned creeds in our political journey by their seething desire for a new nation in the definitive statement they made at the last polls. In that very election which produced Buhari as President, Nigerians made bare their zealous expectation for the departure from the endemic system that had become instituted as a norm and which effect had been crippling the nation. The emergence of Buhari elicited great joy, not necessarily for its strong reflection of their brooding intent but for the person in whom it actually did find means to speak. As such, May 29, 2015 would be historic, not more for the reason that the political administration at the centre is changing hands from one party to another for the first time in the democratic history of this nation than for the fact that it is the person of Buhari that stands out as the symbol of that history. Buhari is coming into the front to take the appropriate lead as had been continuously yearned for, in subtle and overt wait, by most Nigerians over the years. He’s coming at a time when many Nigerians had become fed up with the status quo that had bestridden them for unbearable length of time. They’ve out of exhaustion, begun literally the pant for imminent rescue from the long weight of administrative and institutional inebriation. Buhari’s emergence is timely and very inspiring. The emergence of Buhari at this period is thus very remarkable. It is indeed remarkable firstly that in it Buhari has finally got the chance to prove his intent to the Nigerian people. In perseverance of his passion to commit to national service and faith in the Nigerian masses, Buhari had consistently made a struggle to become the leader of this country in a reviewed form for three consecutive trials without success. To the triumph of undying passion for service and the strength of faith, Buhari has become that which he had for long sought for. He is stepping into the means he’d desired to dish out his vision; and in overwhelming pomp and pageantry. More so, it’s remarkable as well that he’s coming at such a time Nigerians wouldn’t have desired no less a redeeming figure. Nigerians shouldn’t be blamed if at the end of six months they begin to “stone” Buhari for not meeting up to what they feel in him. No doubt, Nigerians have hopes, even greater anticipation in the new dawn they’ve wrought. From electricity to employment generation, and the tackling of corruption to insecurity, the stakes are really high for the new administration. They are so expansive and beyond containing; the masses are in desperate yearning for an overhaul so instantaneous as would a miracle. They want a departure from what had inundated them; they want to see results orchestrated by new ways of doing things. Concisely, Nigerians want change. This they unequivocally expressed by their decisions at the polls; and without deviation, this they would want to see. The inauguration of Buhari as the fifth executive President of the Federal Republic of Nigeria is the beginning of a new phase in the political history of the country. This itself was shown by preliminary suggestions of the polls. History has availed unto Buhari the chance he had sought for to prove his zeal in the leadership of the country. This is a very effective means he has found to impress profoundly what he has often stood for and, very efficiently, he must prove to the delight of all. The onus is on the very man in the picture to prove right the confidence of the massive population that had yearned for his coming and flatly disprove the reservations of the few elements who have often painted him in the picture of an anti-democrat and evil reincarnation. He must very significantly keep the horns of as many who believed in him high. The new President must not disappoint fate and the majority of compatriots, who have held him in faith and esteem. Among the expectations the people have of him is a total departure from past styles of administration. Buhari as his first assignment demands must select genuine, patriotic and credible individuals to work with as cabinet members; he must very well also demand accountability from them. His fight against corruption must move from mere reassuring rhetoric of past exhibition to one that’s tangible, visible and present, giving mobility by the instruments of government now at his stead. This fight must cut across all boards, hounding every one culpable. One thing is sure and very fundamental to the expectations of Nigerians: That Mr. President must lead and be seen to lead from the front in a leadership defined by attitudinal change; the very change we need!